Cooper Output Module- Mcom Rs 1,950/Nos. 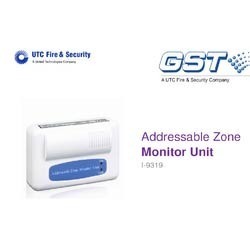 We are offering Zone Monitoring Module to our clients. Addressable Control Modules shall be provided to supervise and control the Operation of one Conventional appliance. 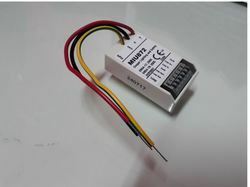 For fan shutdown and other anxiliary control functions, the control module may be set to operate as a dry contract relay. The control module shall mount in a standard box, or to a surface mounted back box. System Product Enterprises (I) Pvt. Ltd.
We are providing a addressable module. The CMF-300 Addressable Control Module provides FireLite Alarm's MS-9200 and MS-9600 intelligent control panels a supervised Class B (Style Y) or Class A (Style Z) circuit for Notification Appliances (horns, strobes, etc. ).Addressability allows the CMF to be activated, either manually or through panel programming, on a select (zone or area of coverage) basis.